Moving? Need information on Moving companies in New York City? Perhaps you’ve recently bought a new condo, upgraded from an apartment to a house, or moved from New York to Westchester. Maybe your small home-based business now requires an office. Whether you have household items, furniture, art, antiques or personal belongings, you have to choose one moving & storage Services Company from hundreds of moving companies in New York City. How do you do it? How can you find the one trusted Moving Company in New York City? Call All Around Moving Services Company Inc., a local moving company in New York City for detailed moving quote on Movers and Storage in the greater New York metropolitan area. We arrange for an onsite estimator to survey the items to be moved and provide you with a detailed written proposal. We are the most organized, professional and skilled moving company in New York City. We arrange for moving services in Manhattan, Brooklyn, the Bronx, Queens, and Staten Island. Additionally, we service the surrounding Westchester towns and much of the Tri-State area (see list below). We can also arrange your move to-and-from cities across the USA. Thereafter, whether it’s a residential moving or commercial or international, you can trust us in arranging the best movers. You can trust in us as well with moving abroad to safely move your belongings to your destination. We can accommodate any moving requirements to make it a stress-free event. We have a vast networking system and healthy relationship with freight forwarders across the globe. As always, you get the care and consideration for your belongings that you expect from us. With our flexible and affordable services, we are the most reliable Moving Company in New York City. Located in Wall Street, All Around Moving is a member of the Better Business Bureau and The Chamber of Commerce of New York. We are in the City of New York “Mayor’s Office of Film, Theatre and Broadcasting” selective list of official moving companies. With us, you will find the best trusted movers for your moving plans. No need to waste time looking for movers anymore. It’s all here. Therefore, you can conveniently find the local and international movers for all your moving requirements just in one place. Discover how uniquely priced we are compared to other moving companies in New York City. 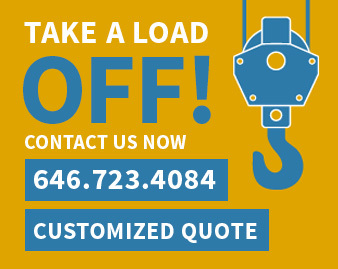 Act quick and get a moving quote specifically tailored to your moving needs by calling us directly at 646.723.4084 or 212.781.4118. Click here to fill out estimate form. A Customer Service representative will respond promptly.